Jose Mourinho has been praised for his brutally honest approach when dealing with players by his former Real Madrid assistant Aitor Karanka. 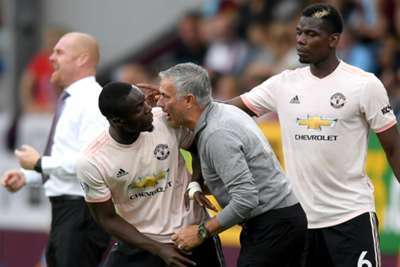 A difficult last 12 months at Manchester United, in which Mourinho has been heavily criticised for results and a perceived negative approach towards tactics and personnel, have been underlined by reports of a poor rapport with key players. Paul Pogba, Alexis Sanchez and Anthony Martial are among those who have reportedly had a difficult relationship with their manager, with Pogba being tipped to leave in January after finding himself out of the starting XI. But Karanka, who worked with Mourinho during his tempestuous three-year spell in charge of Madrid, insists it is better for a manager to be direct with his squad. When asked to name the quality he admires in Mourinho's methods, Karanka told Mundo Deportivo: "His honesty. "With him, I clearly saw that it's better to face a player, to say things as you see them. Other coaches promise things that they then don't fulfil or create expectations that never come to pass. "It's better to say things to a player as you see them and Jose always did it that way with them, looking for the best for the group, which maybe was not the best for the individual as a footballer, but it was the best for the group. He used to look to be fair." Karanka, now in charge of Championship club Nottingham Forest, says working with Mourinho was a hugely beneficial experience. Asked if he keeps in touch with the former Chelsea boss, Karanka said: "Of course. I spent three very good years with him and we're talking the same as Silvino Louro and Rui Faria, who were two of his other assistants. "Working with him enriched me and helped me to learn about the job on a personal level."